Very touching photo. I love the pinks and the baby's soft hair. What's the expression, 3 heads are better than one? 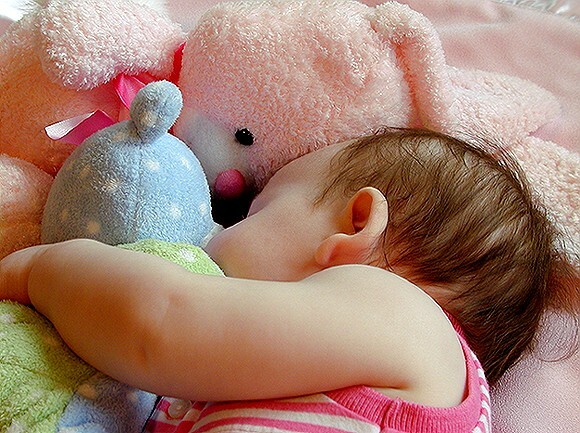 I love the way the baby's head is juxtaposed with the soft toys, showing a real feeling of softness for the baby. awww, look at all those animals! love the soft colors. well captured moment. like the colors, comp and exposure very much. great detail as well. Such perfect clarity and lighting. Everything is so soft and cuddly is right! A little more of the baby's face would add to it. Great contrasts and colors. DOF right on. Nice shot. I like this shot but it seems a little cluttered in my opinion. I think maybe if you had removed the pink bunny at the top of the shot and left only the one that she is actually snuggling it would have worked much better. Great detail, love the colors. I think I would like this better if I could see the childs face. Great cropping, great use of color, sweet baby! Cute.....wish the face was showing. This is precious good capture and the colors you have accent the flesh tone of the baby....beautiful baby by the way....congratulations! Good job! Just had to let you know this really caught my attention as I was going through the voting. It was the first color photo after about 10 b&w photos and the color really grabbed me. Proudly hosted by Sargasso Networks. Current Server Time: 04/24/2019 09:50:49 AM EDT.